He is wrong. Well used footpaths don’t keep clear. Keith is right that The Ramblers help a great deal, as do Parish Paths Partnerships and other groups. Many people just clear paths on their own. But he doesn’t understand why well used footpaths block or become unpleasant to walk. This point is best illustrated by an example. I keep a stretch of the Shropshire Way clear. It’s the sunken way at SO569749, south of Knowbury church on the south west slopes of Clee Hill. I guess I spend around 7-8 hours a year getting it clear and a rather more on nearby paths. This is a well-used path. The Shropshire Way is our premier walking route and hundreds if not thousands of people tramp up from Ludlow to the top of the Titterstone Clee. But the sunken way becomes impassable without clearance. This happens for a very simple reason. Once the soil and air warms, brambles and nettles across Shropshire put on a quick spurt. I am sure they are getting ready for the first outings of shorts, delighting to rip and sting passing legs. In the sunken way nettles are not much of a problem but the brambles are vicious and have formed a nasty partnership with hawthorn and wild rose to attack walkers. Then the bracken takes over and the way becomes barely passable – and never in shorts. but here is one blockage I couldn’t clear! It is after this that the big numbers of walkers arrive. By this point, the route is already blocked or unattractive walking. No matter how well used it is, the path will never clear just by people walking along it. Often they will take an inconvenient diversion rather than struggle along the Shropshire Way itself. This leaves aside blockages caused by the weather, trees ageing and farmers locking gates. This just one example. Footpaths are becoming blocked all over the county. Too many are not being cleared. There have always been blockages but it has never been this bad. 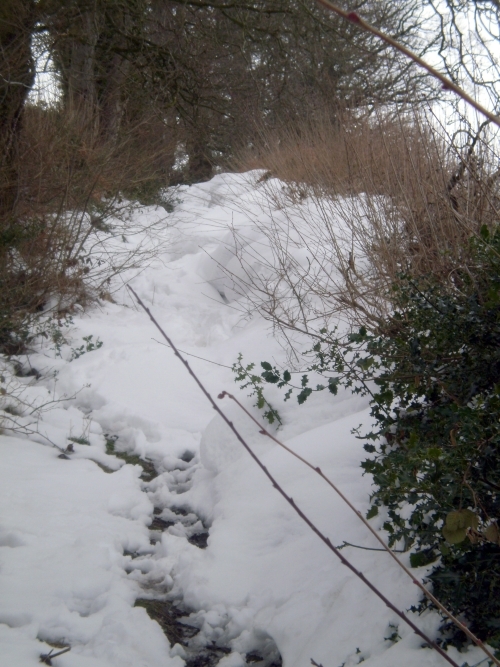 And all the signs are that footpaths are rapidly getting worse here in South Shropshire, despite the best efforts of volunteers. 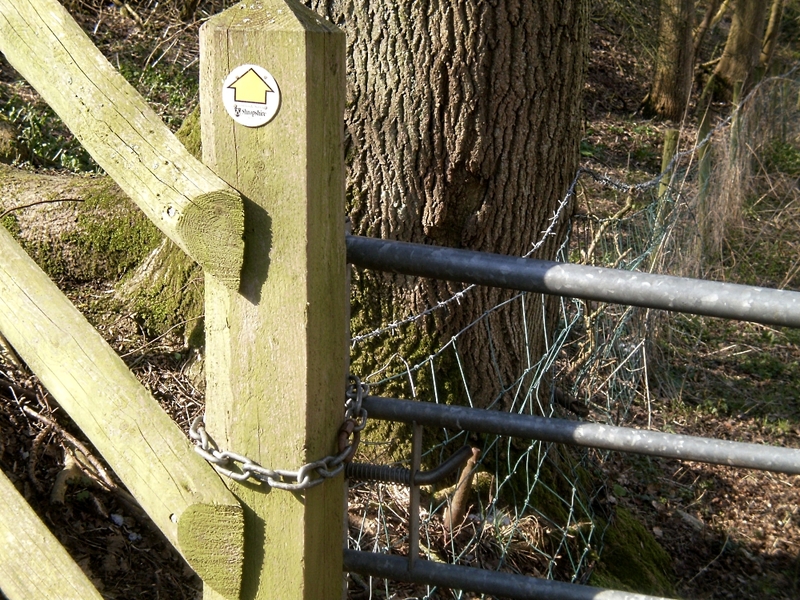 It will not be long before walkers begin to shun Shropshire because of the poor quality of the rights of way. Shropshire Council says that walkers pump £65 million a year into the county’s economy and support around 1,000 jobs, so its important we keep walkers happy. As Highways Authority, Shropshire Council has a legal duty to keep footpaths open and accessible – whether they are well used or not. Perhaps even more important, it has a moral duty to keep the economy of Shropshire thriving. It’s not doing that. Shropshire used the best area in the country for walking. But now it seems that for Shropshire Council and its Conservative leaders, only second best will do for our county.